To boost awareness that we all share the roads with an increasingly diverse set of vehicles, PlanBike has created the SharrowHeart reflective sticker. The goal is to increase visibility for the idea of road sharing while folks are driving or riding, whether there is bike infrastructure present or not. 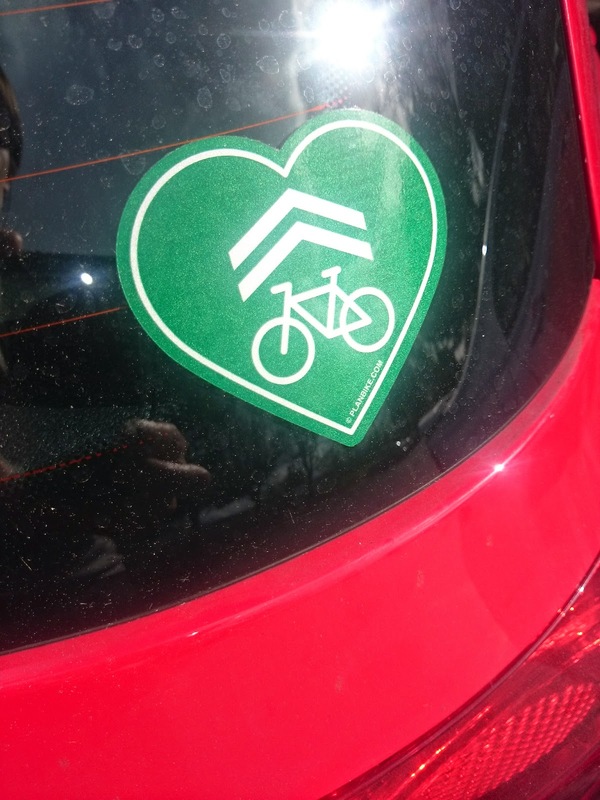 Even if you don't get a sticker, please post pics of sharrow love online with the hashtag "#sharrowheart" to get road sharing trending on Instagram, Twitter, Facebook, and Google+.